Depression is a emotional, physical and medical condition, it will make you feel low on energy, unmotivated and you will feel as if you have lost your ability to think positively. Depression can hit you on many fronts, it can lead you to finding it difficulty to get to sleep, you may loose your appetite, you may find it difficult to interact with people or get around like you used to. Do not lead yourself into believing you are weak or for some reason you are no good. If you have been depressed for quite sometime now then the negative thoughts and emotions will deprive you and block out any optimistic or positive thoughts. You may find it hard to get out of bed and you can loose the ability to cope in everyday life situations, it can leave you feeling vulnerable and unable to defend yourself. Other things that can cause depression are social factors, personal issues, being made unemployed, illnesses, perceptions and feelings of hopelessness. You may need to ask yourself some questions like, why am I feeling these negative emotions, what type of things can I do to feel better. Many people are unaware of the fact that our thoughts match our emotional states and it is our emotions that drive our train of thinking, so if you want to think more consistent and positive you have to change your emotional state. You can do this by deliberately choosing the thoughts you want to think, change your perceptions and beliefs or find ways to boost your moods. Research is indicating that depression is on the rise and it is striking all ages including the young. No one can pinpoint why depression is on the increase, maybe it is because we are constantly bombarded with the need to look good and live perfect lives. Magazines and advertisements are constantly impressing on people with images of perfect lives, looks, bodies and high achieving careers, yet we live in a world were not everybody is perfect. All this media coverage can lead to people not feeling good enough or adequate enough, this can develop into a low self worth and negative self image. Sometimes we can set our expectations to high and although it is good to have dreams and goals to pursue, don't make your happiness depend on them. Whilst some experts suggest that depression can be inherited and passed on through family genetics, what possibly has more influence on a young child's development and behaviour is how their family have formed their perceptions about life in general and life based on their own personal experiences and beliefs. So your parental upbringing may have contributed to your depression, maybe you had a difficult childhood or you picked up on some of your parents bad attitude, negative perceptions and bad behaviours. If a child has grown up and witnessed their parents responding with depression or they have many pessimistic views about their own life experiences then the child can go on to learn to associate depressive and negative views and connections to the things and situations that the same types of things that their parents react with depression too. A young child can also grow up to feel worthless if they have been brought up by overly strict and harsh parents, children can quickly buy into hurtful comments and negative suggestions aimed at them which can lead to low self esteem and depression later on. How we feel depends so much on what we give our attention too, for instance some words are accompanied by an energy match. If you keep using negative words, say you keep telling yourself how depressed or low you feel then you will become a match to the negative energy those words carry. Two of the most important things in life are, your intentions and your attention, your intentions will determine your outcomes and what you pay your attention to will expand. If you combine positive words with positive intentions then you will begin to move up through the emotional scale towards the good feeling emotions. Happy has a positive energy response, think to yourself you intend to be happy and see if you notice the difference in the switch of your energy energy, other positive words are joy and feel good so make it a habit use them more often. There are many reasons why people fall into a depressed state, the problem is they become stuck in this state and that's all it is a state of energy. Once you become trapped in a negative low mood you will have more matching negative thoughts which will evoke more negative emotions. Things will never be good for you until you change our state, this can prove hard because the low mood will make it hard for you to motivate and inspire yourself. Some times the only way out is to force yourself to think and say positive words and things about yourself, make an effort to smile for a few minutes at certain periods during your day. You may need to try many different approaches to find the best way to overcome your depression, it is certainly a good idea to try and figure out what you think might be contributing to triggering it. You may find it beneficial to take medication, exercising is a good way to boost your mood as well as getting plenty of nutrients in your diet. If you want to beat your depression you will need plenty of energy and motivation, this can prove difficult for depressed people because they will feel tired and exhausted all the time. This means you need plenty of restorative and quality sleep and relaxation as well as being more active. If your having trouble sleeping then you will greatly benefit from spending some time once or twice a day listening to a meditating session or using hypnosis, theses are two guaranteed ways of helping you to get that much needed rest and energy boost. They will both also help you to reduce your stress and anxiety as well as helping you to quiet down those dominate negative thoughts. Try to laugh more even though you probably won't feel like it, watch funny films or video the beauty with smiling and laughing is even if you fake it and force yourself to laugh, it does not matter because it will still activate a positive energy response. With all the doom and gloom about the only real person who can offer you new found hope and optimism is yourself. Try and find things that can stimulate you or do lots of things that will occupy your mind, keep your mind and body active and try and interact more socially. Some people believe that once you are depressed then you will always be depressed, this however is simply not true and it is definitely something that you can overcome. Why so many people fail to overcome their depression is because they do not know what the root source of it is, most approaches entail tackling the symptoms instead of fixing what's causing it. When you understand and know the real cause of your depression then you will have all the tools you require to finally eliminate it. The World Health Organization (WHO) has released a report stating that the number of people who experience depression is doubling every ten years and that by 2020 it will be the most pervasive illness in the world and the second leading cause of death. Who also states that depression currently ranks second only to heart disease as the leading cause of disabilities associated with illness.Unfortunately, depression will touch almost every single person during their lifetimes. They will either experience it themselves or know someone who has. Those who do experience depression may suffer its hideous effects for decades or even for a lifetime. Why is depression currently so pervasive? Furthermore, why is the number of people who will experience it projected to increase at such a rapid rate? The most common treatment for depression today is therapy coupled with antidepressant medication. This can become costly and time consuming without much success. The question becomes. Why isn't treatment producing the desired results and decreasing the number of people who are depressed? Some people do experience an improved mood when they are prescribed antidepressants. But, think about this, any mind-altering drug, including antidepressants, has the potential to produce a positive improvement in mood. Is the improved mood one experiences while taking antidepressants proof that they had a chemical imbalance to begin with? Not in light of the above statement. Let's face it, if therapy and antidepressants were the answers, we wouldn't have so many depressed people in our society today and the number of people suffering its debilitating effects wouldn’t be on the rise. Now that you recognize that the number of depressed persons is rapidly increasing and that current treatment methods aren't helping to decrease that number (in fact, they aren’t even causing it to remain the same), are you ready to open your mind to a new approach to overcoming depression? 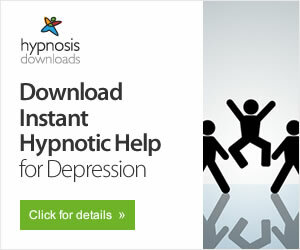 Gwynne Curry, who suffered with depression for 30+ years, reveals a proven method for overcoming depression in her ebook "You Can Heal Your Depression Now! No Expensive Therapy... No Dangerous Antidepressants..."
This eBook explains the one and only cause of depression. Armed with this important knowledge, you (or anyone) will be able to use the information in her book to formulate your own action plan based on your preferences and your unique life-style for overcoming depression. You'll be feeling better in less than 30 days. Discover a leading edge and proven method for healing depression without therapy or medications... even if you've suffered with depression for years and given up hope of finding relief! No matter how long you have been depressed you can start feeling better in less than 30 days. If you want to try a natural approach then you may be interested in learning more about Gwynee Curries free yourself from depression book. The book covers, how to learn more regarding depression, it's true cause, how to stop the pain and how to heal it once and for all which can all be found in her You Can Heal Your Depression Now! program.